The Óbidos Holy Week is one of the best posters of the village. Every year, religious and cultural ceremonies attract thousands of people this time of year to Óbidos. Its important to say that Óbidos Holy Week is one of the oldest in the country, with the procession of steps started more than 400 years of existence. 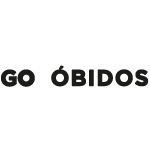 Óbidos Holy Week is, therefore, the high point of the liturgical and cultural calendar of Óbidos, being an important religious event for the local community as well as for the several thousand pilgrims and tourists who attend this ceremonies. Like other years, will have several classical music concerts, mainly of religious content, among other cultural activities, which will be announced shortly. 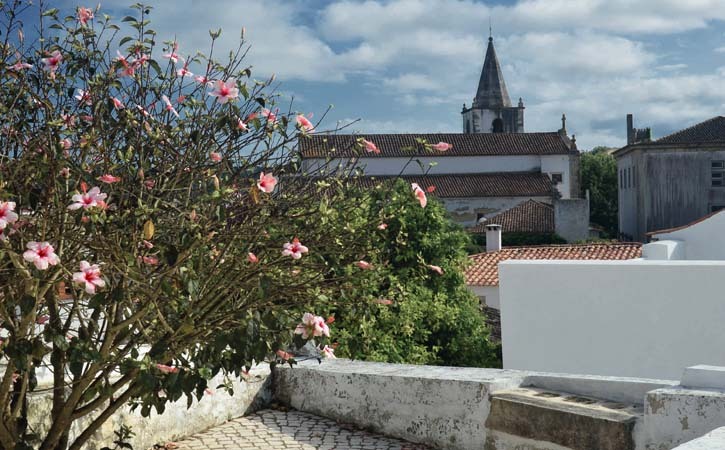 “Óbidos continues to be the scene of celebrations of historical and religious nature of events. Evoking the Passion and death of Christ, Holy Week attracts to Óbidos many people united by devotion or simply by curiosity, cultural and religious tourism. Arousing the most interest of cultural and tourist point of view, the Holy Week early proved to be the best “poster” of Óbidos and undeniably the most beautiful and impressive religious ceremonies of its kind in the West. For this reason, in 1963, through the then Secretary of State for the Council Presidency, José Venancio Paulo Rodrigues, these ceremonies were included in the tourist promotion program “Avril au Portugal”, assuming a dimension that was beginning to overcome borders. With the recent and gradual recovery of the Holy Week ceremonies, Óbidos community, from the Town Council to individuals, motivated and committed to maintaining traditions, has been able to gather and reflect on the evidence that will transmit from generation to generation, not only the title staff, but also through photographs, writings and newspaper clippings. Many of the current knowledge on traditional ceremonies in Óbidos have been collected and are part of Albino private collection Castro and Sousa (…) and of his own the current version of Auto Descent from the Cross, ancient tradition that goes back at least to mid-seventeenth century. This “poster” of Óbidos has its beginning in the realization of the secular Penitential Procession of the Third Order of St. Francis, commonly known by the procession of the boys, preparing the inner journey of Lent. In this religious manifestation, parading nine litters exuberantly decorated with flowers, which displays some of the major saints of the Franciscan devotion (almost all of these images date from 1849). This is not the end of a folk revival, but a religious event with deep roots and which is expressed, once again, the invitation of St. Francis of Assisi, for the participation of Christians in a naked community superfluous values, especially at times gathering, as Lent. On Palm Sunday, in an olive environment, rosemary, lavender and vegetables on the ground, takes place the majestic Lord Procession Jesus dos Passos, which runs through some winding streets, inside and outside the walls of Óbidos, stopping at small evocative to Steps Passion, culminating in the Church of Mercy, where they usually find one armed Calvary, representing the Palestine Mountain, near Jerusalem where Jesus suffered crucifixion. This procession is opened by a traditional figure, “gafaú”, who walks barefoot, his head wrapped in a cloth and carrying a musical instrument, known as “serpentão”. This figure represents the executioner, who walks ahead of the procession accompanying the condemned announcing to the crowd that the approach of it, is very soon. The Auto Cross Descent culminates with the moving procession of the Lord’s burial, which took place without any light, except the torches that burn in the hands of young people who are placed at key points of the processional route. This ceremony not being determined by the rubrics of the Roman Missal, established in Portugal by the devotion of the faithful in the fifteenth century and early sixteenth century. As a cultural manifestation, it is considered the high point of the solemnities.